It’s a double whammy for the residents of Ernavur Kuppam. People in this village, located on the coast of the Bay of Bengal in Thiruvallur district of Tamil Nadu, are traditional fishers. Lately, they say, the coast has been bereft of fish, forcing them to venture deep into the sea. To aggravate their plight, groundwater is turning undrinkable. The residents who barely make their subsistence now buy drinking water. “The government’s Ennore thermal power plant discharges warm wastewater into the sea behind our village. This has affected our fish catch,” says Desingo, a resident. At the other end of the village is the storehouse of Indian Potash Limited. “During high tide, seawater enters the storehouse and chemicals leach into the groundwater and soil,” says Akumugam, a resident. Ernavur Kuppam residents had apprised the Thiruvallur district authorities of the situation, but to no avail. This comes as no surprise. Thiruvallur is the fastest growing industrial hub of the country. The district is home to 11 industrial estates and more than 27,200 small- and medium-scale industrial units. Between 2007 and 2011, the Union Ministry of Environment and Forests has granted clearance to 10 thermal power plants and five steel plants in this coastal district. Recently, it has removed an industrial estate, Manali, from the list of critically polluted areas and lifted the two-year-moratorium on allowing new industries. Similar stories are being reported from across the coasts of South Asia. The region is developing like never before. Numerous urban centres, commercial and industrial hubs and tourist spots dot the 11,000 kilometre-long coastline along the Bay of Bengal, Arabian Sea and the Indian Ocean. India, the giant South Asian country, has 202 ports, 27 thermal power plants and hundreds of fishing harbours along its coast. Another 76 ports and 59 thermal power plants are in the pipeline. The region is also one of the biggest ecological treasure troves—the Sundarbans delta is the world’s largest continuous stretch of mangroves. This, along with the coral reefs of the Maldives and Sri Lanka, and the mangroves of Pakistan, supports thousands of fish species and other flora and fauna. About 400 million people across coastal South Asia depend on these natural resources for a living. For instance, 70 per cent people in coastal Bangladesh depend on fishing and agriculture. The coral reefs off Sri Lanka and the Maldives generate scope for tourism, which is the mainstay of the countries’ economies. But what makes these coasts economically attractive also proves to be a threat. Consider this. Down south of Colombo is the oldest tourist attraction of Sri Lanka—Hikkaduwa. The region is known for coral reefs, declared a marine sanctuary in 1979. Today, glass-bottomed boats ply in the area to show tourists these corals. The boats graze against the corals, damaging the reef. Most boats use kerosene oil as fuel. Oil spill and fumes lead to coral deaths. A marine survey in 1999-2000 shows only seven per cent of the corals are alive. “The wildlife department is supposed to keep a tab on the boats visiting the reefs, but it does not,” says E Goonawardene, president of Hikkaduwa hotel association. Worse, the government plans to open pristine islands in Kalpitiya peninsula to tourism. The government has set a target of attracting 2.5 million tourists—one-tenth of the country’s population—by 2016. Analysts say such aggressive promotion of tourism will do more harm than good to the island nation. Coastal South Asia is low-lying and vulnerable to climate change impacts like cyclones and rise in sea levels. The impacts are already visible. Bhola, an island in Bangladesh, has lost half its landmass—300,000 hectares—in four decades. People who long thrived on fishing, coastal agriculture and mangroves are now migrating to inland areas. The changing pattern of migration is evident across the South Asian coasts (see ‘Decreasing population’). Are the countries following the right development path? Should they sit together and think about their coasts? Sugandh Juneja travels to coastal regions of India and Sri Lanka, and Srestha Banerjee to Bangladesh to analyse what ails South Asian coast. The Beach Road in Puducherry leaves one high and dry for a beach. Located along the Bay of Bengal, it has been devoid of a sandy shoreline for quite some years now. The problem began in 1989 when a commercial harbour was built in the southern end of the union territory. A seawall and two breakwaters were also built as part of the harbour. Breakwaters are vertical sea walls extending into the sea from land. They obstructed the littoral drift or natural movement of sand from south to north along the coast. Sand from northern Puducherry continued to move north but there is no sand to replenish it. 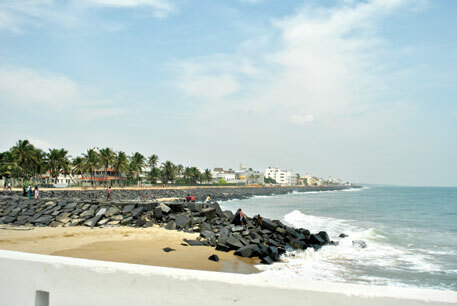 By 2002, northern Puducherry had lost most of its beach and the breakwaters had developed cracks. “The government built a 7 km seawall to check the erosion but it offered temporary relief,” says Probir Banerjee of non-profit Pondy Citizen’s Action Network (PondyCAN). The government then tried to correct the situation by building a series of groynes, or small breakwaters. This aggravated the problem and erosion spread to neighbouring Tamil Nadu. “The structural interventions were done without much thought. It caused saline ingress into groundwater and deprived many of livelihoods,” says Banerjee. 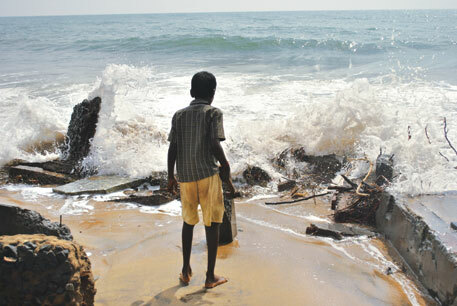 Rappo Beach in Tamil Nadu, which is adjacent to Puducherry, is the latest casualty of the erosion. Uprooted trees and remains of houses can be seen along the narrow stretch of the beach. G Rajaram of PondyCAN informs that fisherfolk who lived on the beach for generations have shifted to others beaches. Puducherry and Tamil Nadu provide glimpses into the future of the Indian coasts, dotted by 189 minor and 13 major ports, and several hundreds of harbours and jetties. The government plans to set up more ports. Since 1992, a year after the Coastal Regulation Zone (CRZ) notification came into force to regulate development activities along the shoreline, the Union Ministry of Environment and Forests (MoEF) has cleared 99 ports and 630 projects related to special economic zones, ship manufacturing, fish harbours, golf courses, roads and the railways. MoEF has also given clearance to 27 thermal power plants with a capacity of 19,391 MW and is considering 59 more of 92,025 MW capacity in the coastal districts. Another industrial activity, which has proved equally detrimental for the western coast of India is ship breaking. It involves dismantling a ship after it reaches the end of life and recycling its components, such as scrap metal. Most of the ship-breaking activity is concentrated in Alang and Sosiya shipyards in Gujarat. Following economic liberalisation in 1991, the industry has grown rapidly, particularly to meet the increased domestic steel requirement. According to the Gujarat Maritime Board, the state has 171 ship-breaking yards; 92 are in Alang. These yards have a capacity to produce 4.6 million tonnes of scrap metal a year, sufficient to meet about three per cent of the country’s steel requirement. But the industry has severely polluted the coastal region. Over the years, fish catch along Alang has reduced by 60 per cent. Studies blame dismantling of ships for the declining catch. According to the Ministry of Earth Sciences, the concentration of heavy metals like lead, cadmium and mercury found in the seawater and sediments along the 10 km coast of Alang is much higher than that in the rest of the country. However, the details are not available in the public domain. Even the Gujarat Pollution Control Board (GPCB) does not have proper pollution data for Alang, alleges Gopal Krishna of Toxics Watch Alliance, a non-profit working on hazardous material. Hardik Shah, member secretary of GPCB, however, says, “We are taking adequate steps to curb pollution in the area. We have installed ambient air quality monitoring stations and set up asbestos containment facilities.” These facilities are landfills to dispose asbestos waste, used in ships for insulation. Exposure to it can cause serious lung diseases like asbestosis and lung cancer. 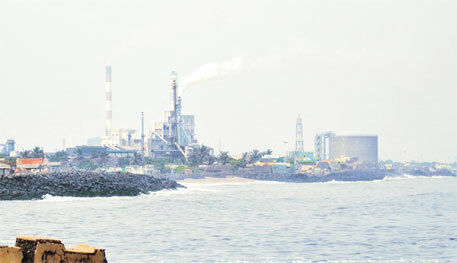 Industrial activity is not the only problem ailing the Indian coast. Increasing tourism is pushing the sensitive coastal ecosystem to the brink. Consider Goa, a favourite tourist destination. Every year, more than 2.5 million tourists visit this smallest state of the country, which has a population of 1.5 million. This is seven per cent of the foreign tourists visiting India. Close to 20 per cent of the state’s population depends on tourism for a living. A 2012 report of the Comptroller and Auditor General’s (CAG) tabled in the Goa Assembly notes that the state’s beaches are degrading, groundwater table is going down and there is lack of sewerage and solid waste management. It blamed this degradation on tourism. The National Institute of Oceanography in its 2011 report also stated that the coastal waters of Goa are unsafe for bathing or fishing. The level of faecal coliform found in the waters is double the safety limit of 100 units per millilitre specified by WHO. In June this year the National Green Tribunal (NGT), a special court for hearing environment-related cases, ordered the closure of all outfits, including hotels, that do not have a sewage treatment plant (STP) as required under water pollution law. “We have asked hotels with more than 25 rooms to install an STP,” says Sanjay Joglekar of Goa State Pollution Control Board. “This is just lip service,” says Claude Alvares of non-profit Goa Foundation. In December 2012, Goa Foundation appealed to NGT against hotels and resorts that were located very close to the shore, violating the CRZ notification. In September this year, following an order from NGT, the Goa Coastal Zone Management Authority issued notices to 11 hotels and resorts for having constructed in no-development coastal zone. “These big players are destroying coasts of Goa,” says Alvares. What Alvares says holds true for the entire country. The latest violation by Adani Ports and SEZ Ltd is a typical example. The company has a coastal Special Economic Zone (SEZ) in Mundra of Kachchh district in Gujarat. It is alleged that the company deliberately broke the project into smaller parts to avoid comprehensive environmental scrutiny. According to the report of the Sunita Narain Committee, set up by MoEF in September 2012, Adani has been applying for and getting clearances in piecemeal fashion for its activities at Mundra. Every time the company applied for clearance for one of the project components, it submitted a map that depicts in which CRZ the project falls. The committee found that the company distorted these maps for getting clearance. The committee opposed the current practice of coastal zone map demarcations and advised that the demarcated maps by companies be put out in the public domain to ensure transparency. The company also started construction within its proposed SEZ without necessary clearances. The High Court of Gujarat in February 2013 ordered that the SEZ stop all operations till it receives an environmental clearance. The pressure on coast is so high that NGT in 2012 ordered IL&FS Power Ltd to carry out a cumulative environment impact assessment (EIA) for installing a thermal power plant in the coastal district of Cuddalore in Tamil Nadu. The project site is just eight kilometres from the Pichavaram mangrove forest. But between 2007 and 2012, MoEF had given green signal to install four thermal power plants in the district based on individual EIA reports. The Galle Face promenade that stretches about five kilometers along the Indian Ocean is the biggest attraction in Colombo for tourists and city dwellers. Every evening it is abuzz with people flocking food stalls, children flying colourful kites and families gathering for picnics. The Parliamentary Secretariat and some of the prominent hotels of Colombo are located along the promenade, promising a great sea view. Close to the raised concrete platform is a narrow stretch of beach. But people refrain from bathing or swimming in the waters. At a short distance is a pipeline where untreated sewage water from the city is released into the sea. Every day, Colombo and its suburbs generate about 307,000 cubic metres (m3) of wastewater. One-third of this is directly discharged into the ocean through a sewage network. The rest finds its way into septic tanks, soak pits or is released into numerous open drains and lakes in the region. In 2011, the government with the help of Swedish International Development Agency set up a sewage treatment plant (STP) at Ja Ela, a suburb 25 km north of Colombo. The plant is capable of treating 21,000 m3 of wastewater a day but does not run at full capacity. Another STP is being built at Ratmalana, near the Colombo airport. Only a handful of large hotels have STPs. The rest release their wastewater into the ocean. “We are aware that sewage discharge is a problem in Colombo,” says a senior officer at the Central Environment Authority (CEA). “One discharge outlet is very close to Mount Lavinia. The murky water is not visible as it gets diluted,” she adds. Mount Lavinia is a major tourist attraction in the city with a number of hotels near the beach. The country’s Coast Conservation Department (CCD) estimates that the cost to human health from coastal water pollution in the Colombo Metropolitan Area is rising. The city is also struggling to manage its solid waste. According to M Aheeyar, environment and water resources expert at Hector Kobbekaduwa Agrarian Research and Training Institute in Colombo, the city produces 3,000 tonnes of solid waste a day. But the municipal council has landfills for only 700 tonnes. Dumping solid waste in marshes, abandoned fields or on riverbeds is a practice across the city. Even the municipal landfills do not have necessary permits. While one landfill is near a river, the other is close to a wetland. To tackle the problem, the government plans to set up two waste-to-energy plants and develop a scientific landfill in abandoned lime pits in nearby Puttalam district. “We are discussing if the project would contaminate groundwater,” says the CEA official. The problem is not unique to Colombo. In Western Province, for instance, discharge of wastewater and industrial waste into Negombo lagoon has deteriorated its quality. The lagoon spans 3,650 hectares (ha) along the northwestern coast of Sri Lanka and is fed by a number of rivulets and a canal. To compound the situation, several desalination plants and aquaculture farms have come up along the lagoon in recent years. The fisherfolk living in its vicinity have filled part of the lagoon to reclaim land. In five decades, the lagoon has lost 800 ha to encroachment. Part of the reclaimed land was recently added to the Munnakkara locality. CCD has tried to address the issue by developing a Special Area Management Plan for Negombo. The plan recognises land shortage and lack of housing facilities as reasons for illegal land reclamation. This is despite the fact that Sri Lanka boasts of one of the largest initiatives to provide housing to low-income groups under the Million Houses Programme. The plan suggests relocation of people from the encroached area. Encroachment is just one of the many problems Negombo is grappling with. 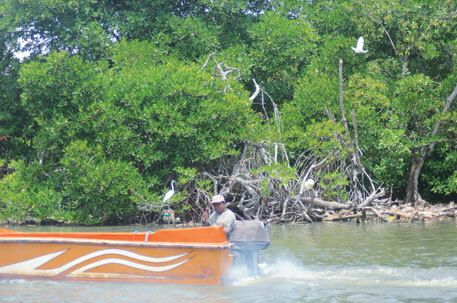 All five islands in the lagoon have thick mangrove forests that attract migratory birds. CCD claims that the mangroves are at risk from the fisherfolk who illegally cut them for firewood. Fisherfolk also use mangrove branches to build cage-like structures for catching fish, a method called brush piling. To dissuade people from felling mangroves for fishing, CCD distributes plastic cages among the fishers in which they rear juvenile fish till they reach full size. “We make SLR 30,000 as profit a month using this method. This is much higher than what we used to earn by using mangrove cage,” says a fisherman in the lagoon. Despite CCD’s efforts, the mangroves continue to be felled for other purposes. “People are destroying the plants for creating prawn farms and salt pans,” says Maduni Fernandes, field officer of CCD in Negombo. Two other lagoons, Puttalam and Salaperu, also on northwestern coast, share the fate of Negombo. An estimate by CCD shows that about 80 per cent of the mangrove cover in the country, or close to 9,000 ha, has been destroyed to create prawn farms and salt pans. In Karukapane Grama Niladhari Division of Puttalam district, a mangrove forest was cleared to build an 80-room luxury hotel. Officials fail to protect mangroves because of an administrative loophole. In certain areas, it falls under the forest department, while at others it is under the transport or wildlife departments. CCD files lawsuits against those who fell the mangroves. People in some coastal villages have realised the importance of mangroves and coral reefs in the aftermath of the 2004 tsunami. Akurala village near Hikkaduwa town on the southwestern coast is one such village. Triggered by an earthquake of 9 magnitude, the massive tsunami hit the southwestern and northeastern coasts of the island country. Akurala was washed off while some of its adjoining areas were not as badly hit. 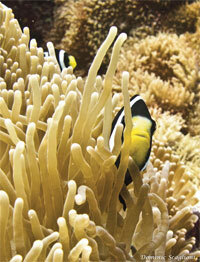 “Corals act as a protection against disasters like tsunami. But people in the village completely mined the reef despite our warnings,” says Anil Premaratne, director general of CCD. Now they have realised the importance, he adds. A museum has been built in the village to remind people of the sufferings brought about by the tsunami. Rohana Zoise, one of the few survivors in the village, recalls how his family ran to the first floor of the house and then climbed on to the water tank to save themselves. Zoise rues that the authorities have not placed any coastal protection measures at Akurala despite repeated requests. The Sri Lankan government introduced the concept of setback zone as part of its Coastal Zone Management Plan in 1990. But it was implemented only after the tsunami hit the country. The setback zone is measured from the high water line (0.6 m above the mean sea level). The initial plan did not allow any activity within 60 m from the coastline. But it was revised later. “The setback zone is now divided into reservation and restriction zones. While no development activity is allowed in the reservation zone, construction of jetties, ports and effluent discharge pipelines is allowed in the restriction zone subject to a permit,” explains Premaratne. While the setback distance may range from 35 m to 125 m, depending on the population density, erosion rates and environment sustainability, the restriction zone is usually narrow. For instance, in a typical 50 m setback zone, only 15-20 m area falls under the restriction zone. “While implementing the concept, the government evicted a number of coastal communities to make way for the setback zone,” alleges Herman Kumara, a fisherfolk’s rights activist. “Now hotels are coming up in the same place,” he alleges. “Many structures are very close to the shoreline without any respect for setback zone,” says Ajith Tennakoon of Sevalanka, a non-profit working on coastal issues. The government is constantly changing the definition of setback zone, diluting its sanctity, he adds. At present, the Coastal Zone Management plan is again being revised. A draft plan will be ready by March 2014. Premaratne assures that the new plan will keep tsunami in mind and will provide some structural solution for it. Coastal Bangladesh is not new to cyclones. But people say they have become frequent and intense in recent years. Scientists agree. Between 1901 and 1957, only 11 cyclones hit the region. 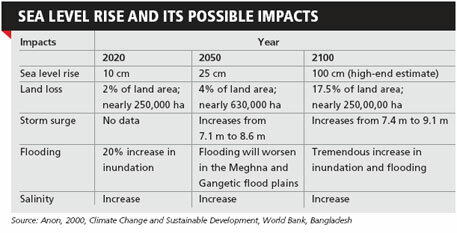 The number increased fivefold in the following 50 years, according to an analysis of historical cyclone data by Bangladesh University of Engineering and Technology, Dhaka, in 2011. A 2010 study by the World Bank states that the severity of cyclones is increasing with rising global temperatures. By 2050, a severe cyclone like Sidr could inundate 43 per cent of the coast, it states. In 2007 when Sidr hit Bangladesh it inundated more than 26 per cent of the coastal districts. Sea level rise because of global warming will have a disastrous effect on this low-lying country. According to the Ministry of Water Resources, 62 per cent of Bangladesh is low-lying with height less than three metres above the sea level. A 10 cm sea level rise by 2020 could engulf 250,000 hectares (ha) or 2 per cent of the country’s landmass, warns another 2010 World Bank report (see ‘Sea level rise and...’). Continued global warming will exacerbate flooding and salinity ingress. The impact would be maximum in the regions around Khulna, Patuakhali and Barisal districts, the report states. These three districts have a population of more than six million at present. People are already experiencing the impacts. Every monsoon, a large chunk of coastal Bangladesh remains submerged, but water starts receding soon after the rains stop. In 2013, water has not receded from 84 per cent of the farmland in Burhanuddin sub-district of Bhola even five months after the monsoon, according to the Agriculture Department of Bhola. The district is adjacent to Patuakhali and Khulna. Like other coastal Bangladesh districts, more than 50 per cent people in Bhola live below the national poverty line. “The entire crop has perished. Due to prolonged submergence of fields people are not able to sow for the next season. This will further push them into poverty,” says Mizan Rahman of Coastal Association for Social Association Trust (COAST). As per the non-profit, 100,000 people have migrated from Burhanuddin in the past three months. Increasing levels of poverty and rising landlessness are forcing people to migrate to towns of Chittagong and Dhaka and work as labourers, says Rahman. Left with little options, many end up working in hazardous industries, such as ship-breaking. 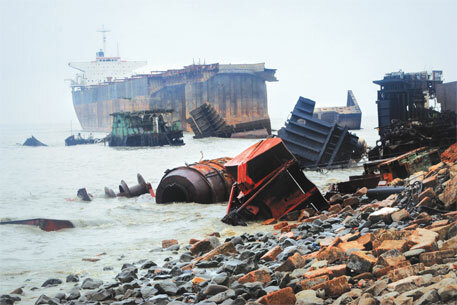 The coast of Sitakunda in Chittagong, the ship-breaking hub, looks a scrapyard. The shoreline is dotted with broken hulls, littered with scrap metals and the water tainted with oil film and toxic chemicals. As per 2010 estimates of the World Bank, Bangladesh accounts for 34 per cent of ship-breaking in South Asia, making the country the second largest in the region. “Cheap labour has helped the industry flourish,” says Muhammad Sahin, senior programme manager of non-profit Young Power in Social Action (YPSA), working on labour issues in the ship-breaking industry. Unofficial estimates show that about 30,000 of the country’s poorest are engaged in dismantling of ships, while more than 200,000 indirectly depend on these yards, such as truckers and scrap sellers. Most of them are migrant labourers. “Labour and environment standards are notoriously bad in these yards. Most of them operate without environmental clearance,” says Sahin. Oil and chemicals leaching from the ships contaminate coastal soil and water. 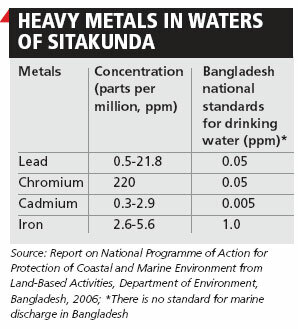 A study by the Marine Science Institute of Chittagong University in 2006 found high concentrations of heavy metals like lead, chromium and cadmium in the coastal waters of Sitakunda (see ‘Heavy metals in waters of Sitakunda’). Bangladesh Environmental Lawyers Association (BELA) has been spearheading a campaign against environmental violations and occupational hazards in the ship-breaking industry. In 2009, following a petition by Syed Rizwana Hasan, director of BELA, the Supreme Court asked the environment ministry to close ship-breaking yards, operating without clearances. The order led to closure of 36 yards or more than 50 per cent of the operational yards at that time. But soon Bangladesh Ship Breakers Association contested the ban saying it will cause domestic steel prices to skyrocket because ship scrap meet more than 50 per cent of the country’s steel requirement and thousands of poor people will lose jobs. In March 2011, the court relaxed its order and asked the government to frame rules on ship breaking and recycling within two months. But the rules have not moved beyond the stage of drafting even after two-and-a-half years. “The rules are under revision,” Habibur Rahman, deputy secretary of the shipping ministry, told Down To Earth. Activists say in the absence of rules, the industry continues its business-as-usual practices. “Ship importing and breaking activities are now on a constant rise,” says Rizwana. Though the Department of Environment does not divulge the number of operational shipyards, Sahin informs that Sitakunda now has about 150 of them; nearly 50 per cent are operational. Apart from ship breaking, more than 8,500 industrials units dot the coastal region. Most of these units are in Chittagong and Khulna districts that harbour ports. Due to lax regulation, most of these units discharge their untreated effluents and solid waste into nearby canals and rivers. Untreated sewage further adds to this pollution burden. There is no sewage treatment plant (STP) in coastal Bangladesh. The only STP in the country is in the capital city of Dhaka. Coastal aquaculture is another sector where environmental concerns have taken backseat. Freshwater prawns and saline water shrimps are the second major export items of the country. According to the Bangladesh Bank, in 2011-12 the country earned US $470 million in foreign currency by exporting these items. “Nearly 1.2 million people work in these farms,” says Israel Golder, deputy director of the Fisheries Department. Documents with the department show that the area under shrimp farms has doubled to 276,492 ha in the past 10 years. But such expansion comes at the cost of mangroves and coastal ecology. Felling of mangroves to build shrimp ponds is a practice in coastal Bangladesh, says Moqbul Ahmed, resident of Cox’s Bazar and regional coordinator of COAST. About 11 per cent of the country’s mangroves have been diverted to make way for these shrimp farms, says a study published in Journal of Ecosystem in 2013. The environment ministry acknowledges the threat posed by the expanding shrimp industry. “Massive deforestation in coastal areas and conversion of mangroves to shrimp farms threaten the sustainability of the region,” the ministry notes in its National Programme of Action for Protection of Coastal and Marine Environment. But can such recognition alone help reduce the threat? Studies show destruction of mangroves increases the vulnerability of coastal areas to erosion and flooding. Coastal Bangladesh is already battling with these problems. 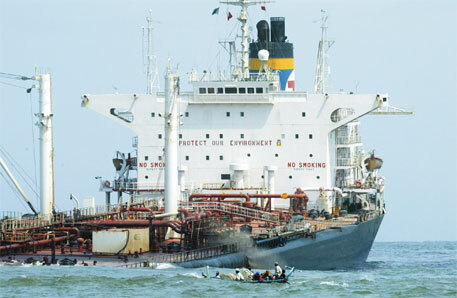 In July 2003, Greek oil tanker Tasman Spirit, carrying over 67,500 tonnes of light crude oil from Iran to Pakistan, grounded in the channel of the Karachi port. The tanker spilled more than 31,000 tonnes of oil over three weeks into the Arabian Sea, affecting 10 km of the coastline. Studies show significant reduction in fish population and loss of 800 ha of mangrove forests in affected areas. Though such incidents are occasional, oil pollution is a perennial problem for the coastal waters of Karachi. Karachi port is close to major shipping routes. It is estimated that every year 15,000 to 20,000 tonnes of oil leak into the sea from vessel engines and during loading and unloading of oil piers. This contaminates the Karachi coast. Untreated industrial effluents released by some 8,000 large- and small-scale industries that dot the coastal area of Karachi add to this pollution burden. These units dump 37,000 tonnes of industrial waste along the coast every year. Pollution from ship breaking activities in Gadani port along Balochistan also remains a concern. But there is no law to regulate environmental impacts and health hazards caused by the industry, which meets 15 per cent of the national steel requirement. Poor environmental regulation is also threatening the mangrove forests that cover 600,000 ha of Pakistan’s coastline. Most of the mangrove forests are around Sindh province. This ecosystem is under stress from unplanned and unchecked development, discharge of untreated waste and over fishing. According to Tahir Qureshi, senior advisor of the Coastal Ecosystem of IUCN-Pakistan, the country is set to lose 70 per cent of its mangroves in the next 20 years if business as usual continues. The Maldives is a chain of nearly 1,200 islands. Lying two metres above the sea level, it is feared that most islands would disappear soon because of the rise of sea levels. Islands in the northeast are at 1.5 m above the sea level and face the maximum risk. The Maldives regularly faces extreme weather events like tidal inundation. Tourism and fisheries are the mainstay of the archipelago’s economy. Tourism contributes to one-third of its GDP and provides jobs to half of its work force. Last year, the country received a million tourists—three times its population. To promote tourism, the government has introduced “one island one resort” concept, under which resorts are built in islands. In all the islands waste disposal sites are within 100 m of the coastline, where people dump, bury or burn the waste. The country’s only landfill is in Thilafushi, which mostly receives waste from the capital city of Male. Thilafushi has been created by reclaiming land from sea by dumping wastes. Water shortage is another concern for the country, which is devoid of rivers and streams. The country has already exploited its groundwater available under atolls and now largely depends on desalination. Increasing tourism is worsening the situation. One of the main tourist attractions in the Maldives are the corals. Despite a ban on coral reef mining since 1992, it continues unabated due to demands for corals as building material, ornaments and souvenirs. Studies show that the percentage of living corals on unmined reefs is between 11 and 60 per cent as compared to five per cent in the mined areas. In 2004, these reefs helped the archipelago escape the disastrous impact of tsunami. Probably this is the reason, in 2012 at the Earth Summit in Rio de Janeiro, the country pledged to become the world’s first bioreserve nation under UNESCO’s Man and Biosphere project by 2017. What is a coast? Across the world, coast is typically defined as a zone where interaction of sea and land processes occur. But countries do not have common parameters to define the coastal zone. 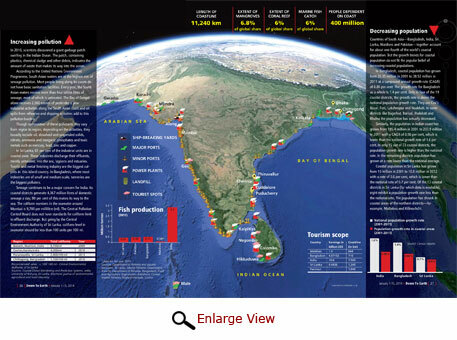 In India, coast has been defined in the Coastal Regulation Zone (CRZ) notification of 2011. It says coast is the stretch lying along the seafront up to 500 m from the high tide line. HTL is the line on the land up to which the highest water line reaches during springtide. Some activists call it a “narrow understanding of coast”. But the government perspective differs. Shailesh Nayak, secretary of Ministry of Earth Sciences, says, “Coastal zone is a complex system. It is not an easy task to define it.” Development along the coast should happen in a systematic way with minimal impact to the coastal ecosystem, he suggests. Sri Lanka’s Coast Conservation Act of 1981 defines coastal zone as the area lying within 300 m landward of the mean high water line (HWL), which is 0.6 m above the mean sea level. While this may sound like a more specific definition than that of India, it has its own flaws. “It does not take into account sea level rise or the fact that some places may have wide tidal variations,” explains Nishnathi Perera of South Asian Cooperation on Environment Programme in Colombo. “Given the ecological richness of our coasts, we need an ecosystem-based definition,” she adds. In Bangladesh, the Water Resources Planning Organization (WARPO) put forth the definition of coast in 2003 as part of its Integrated Coastal Zone Management Policy. WARPO defines coast on three vulnerability criteria: how hard tidal water is hitting the coast, the extent of saline water ingress and frequency and intensity of cyclones. “These are pressing issues for the country and hence, adequately defines coastal zones for Bangladesh,” says Maminul Haque Sarker, deputy executive director of Center for Environmental and Geographic Information Services in Dhaka. In the Maldives, all islands fall under coastal zone. Pakistan does not demarcate its coastal zone. Countries use the definition of coastal zone to regulate development activities along the shoreline. For instance, India prohibits setting up and expanding industry, fish-processing units, land reclamation, discharge of untreated wastes and effluents from industries and cities and sand mining in its costal zone. Though setting up ports, harbours and developing waterfront are allowed in the area, they require CRZ clearance. In Sri Lanka, development activities like construction, laying down waste outlets, sand and coral mining and land reclamation, in the coastal zone require permits from Coast Conservation Department (CCD), nodal agency under the Ministry of Defence that manages coastal activities. However, ground scenario is not as hunky-dory as it seems. Policy makers admit that implementing the law has been a mammoth challenge. “Sometimes regulating development activities in the coast becomes difficult given the capacity constraints,” says an official with the Union Ministry of Environment and Forests (MoEF). “Besides, given the technical nature of HTL demarcation, we do not have the expertise to carry out the exercise. So we have authorised certain agencies for doing this,” he adds. At present, seven agencies have been authorised to do this, which some officials say is a problem. “These agencies have the prerogative to decide whether they want to demarcate HTL for a state or not,” says member of a state Coastal Zone Management Authority who does not wish to be named. Under the CRZ notification, states are to develop a coastal zone management plan (CZMP) that would demarcate different CRZ. The ministry has not received any CZMPs yet even though the deadline for preparing the same is January 2014. Unlike India, Bangladesh does not have law to prohibit activities along its coast. But highly polluting projects along the coast require environmental clearance. Sri Lanka struggles with the problem of multiplicity of organisations. In Sri Lanka, coastal zones come under the jurisdiction of CCD, forest department, wildlife department as well as urban development agencies, depending on several factors. For example, if an industrial project is coming up in a coastal area with mangroves and a fishing community living there, the forest department, CCD and Central Environment Authority (CEA) will be involved and the fisheries department may also be roped in. “So integration of the work and demarcating duties and responsibilities is a major concern,” says a CEA officer. Sri Lanka has tried to protect ecologically sensitive areas by developing special area management plans (SAMPs). But these are neither being implemented properly nor being updated. For instance, an SAMP was prepared for the bar reef marine sanctuary in Kalpitiya in 2005. The plan identified crucial environmental concerns like degradation of reef, groundwater pollution, poor sanitation, lack of fish storage facilities, multiplicity of institutions, lack of roads and lack of enforcement of regulations. It suggested physical demarcation of the marine sanctuary and its supervision. To ensure enforcement of regulations, the plan suggested formation of a subcommittee comprising representatives of concerned government departments, the police and the Navy. It also suggested developing a community-based conservation programme for the marine sanctuary. But the plan does not suggest concrete steps to tackle these concerns. Now with the government’s plan to develop Kalpitiya as a tourist hub there is a need to revisit the SAMP and take into account the impact of tourist influx on the region’s natural resources and bar reef. Similarly, in Bangladesh the Ministry of Water Resources has undertaken the task of preparing district development plans (DDP) for 19 coastal districts; 12 are given priority for their vulnerability. Since 2005, only two DDPs have been made—one for Cox’s Bazar and the other for Bhola. 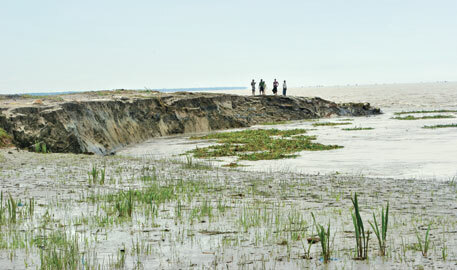 The government plans to replicate the Cox’s Bazar DDP in other coastal districts. The five-year plan includes recommendations for different sectors of economic importance, such as health, education, agriculture, fisheries and livestock. For instance, to develop tourism in Cox’s Bazar, the plan identifies the need to conserve biodiversity, improve communication system and infrastructure and increase tourist safety. The plan also recommends developing an ecologically critical area as a tourist hub—the Saint Martin island. This is the only coral island of the country with a population of 7,000 and receives as many tourists every year. Though the plan states that conservation of corals is important, it does not describe how to do it. While promoting shrimp farming in Cox’s Bazar, it does not stress the need to regulate untreated effluent discharge from shrimp hatcheries. The implementation of the two DDPs is questionable, let alone replicating in other districts. An analysis of coastal zone management plans of India, Sri Lanka and Bangladesh by Down To Earth shows that all of them have adequate provisions. Sri Lanka has plans at the locality level, Bangladesh at the district level and India at the state level. But none of them are able to prepare or implement these plans successfully. Given the ecological diversity of coasts and its economic importance, there is a need to make sure that an integrated approach is adopted to manage the coasts. Integrated coastal zone management (ICZM) is a well recognised concept in South Asia. India already has one of the biggest such initiatives, called Integrated Coastal Zone Management Project (ICZMP) financed by the World Bank since 2010. With an estimated cost of US $286 million, four ICZMP pilot projects have been undertaken in the country—a national coastal management programme and one pilot project each in West Bengal, Odisha and Gujarat. In West Bengal, two areas in the Sundarbans have been identified for ICZMP implementation. Main objectives of the project are conservation of the mangroves, introduction of coastal protection measures, economic development and setting up cyclone shelters. The Bangladesh government also initiated an ICZM policy in 2002 in collaboration with the UK and the Netherlands. Under ICZMP, the Ministry of Water Resources formulated the Coastal Zone Policy in 2005. The policy outlines measures for reducing vulnerability in coastal areas. To integrate coastal development into its national planning process, a priority investment programme has also been developed under ICZMP. “Though the vision is of merit, its implementation remains a hurdle,” says Nilufa Islam, director of WARPO. Even though recognised, ICZM approach has challenges. To start with, there is a lack of capacity in the countries to develop ICZM projects. Then there is the issue of multiplicity of organisations. There are different agencies that take care of different components like coasts, fisheries, mangroves and corals, tourism, urban development etc. which need to join hands to manage the coasts. And lastly, implementation of regulation is poor. Many feel just having country-specific regulations may not be enough to address coastal issues in South Asia. Though many coastal problems are country specific, issues such as pollution and climate change impacts are regional threats. “Given India’s presence in South Asia, it can take a leadership role in bringing forth the regional nature of coastal problems and build a common platform to address them,” says Rezaul Karim Chowdhury, executive director of COAST. Chandra Bhushan, deputy director of Delhi non-profit Centre for Science and Environment says there is a lot to learn among the countries in South Asia. “There is a need to work together as a region on building capacity and managing some of the larger concerns in South Asia,” he adds. Certain development activities and industries along the coasts require clearance or permit. Countries in South Asia have different processes of granting these. In India, a project coming up along the coast needs environmental clearance from the Union Ministry of Environment and Forests (MoEF) if mentioned under the permissible activities in the Coastal Regulation Zone (CRZ)Ã”Ã‡Ãªnotification of 2011. The project proponent applies to the state coastal zone management authority with an environmental impact assessment (EIA) and a marine impact assessment report. A CRZ map of the project area with the project layout superimposed is also needed, along with no-objection certificates from the state pollution control board. The state authority, within 60 days of receiving the application, will give its recommendation for setting up the project or otherwise. This recommendation is then sent to the state environmental impact assessment authority or MoEF for clearance who will need to make their decision within 60 days of receiving the application. If a project needs CRZ clearance and environmental clearance, the process is combined for both. Under the Coast Conservation Act of 1981, a process for granting permits for permissible activities is laid down for Sri Lanka. The application is given to director general (DG) of the Coast Conservation Department (CCD) under the Ministry of Defence. The DG then decides whether an EIA is needed or not. The EIA is passed on to the Council under the Act and also needs to go through public scrutiny. After the public hearing is held, the Council submits its recommendation within 60 days of the EIA being submitted to them and passes it on to the DG who then takes another 60 days to give the decision. A technical evaluation committee, which includes members from CCD and Central Environmental Authority (CEA), carry out the project appraisal. The CEA also issues an environmental licence to the coastal projects. In Bangladesh, certain coastal projects are cleared in the same way projects on land are, as there is no specific regulation for it. The environmental clearance certificate (ECC) is obtained as per the Environment Conservation Rules, 1997. The project proponent submits an application for the same to the Department of Environment. The first step is the issue of a Location Clearance Certificate within 60 days of receiving application. Following this an EIA is submitted which is to be approved within 60 days. Finally an ECC is granted within 30 to 60 days depending on the project category. What all these processes lack is the consideration of cumulative impact of all existing and proposed projects along the coast. Also, the EIA reports are of poor quality defying the very purpose of assessing even standalone impacts. Even with these regulations, non-compliances in the countries exist mainly because post-clearance monitoring is almost non-existent. I would like to know whether you found any many major vulnerability in the Digha- Sankarpur-Mandarmoni area of West Bengal coast? Do this region including the ecosystem and livelihood face any threat either human induced or natural?